Celtic wedding themes are a fun way to celebrate your Irish heritage while exchanging your vows. There are many fun traditions and symbols that can make your big day unique. Having a Celtic-themed wedding can mean different things. You may want to include every traditional aspect of an Irish wedding into your big day, or you may just want to add a little Irish flair. You may even want to get married on St. Patrick’s Day if it falls on the weekend. To help you sort through the many different options to consider, listed below are some ideas to get you started. 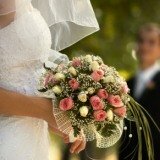 There is a lot of information on this page about Celtic wedding themes, so you may want to add it as a bookmark so you can easily return in the future. Celtic wedding ceremonies are often held in a church. Historic, country locations help set the atmosphere for your ceremony and entire wedding day. Another alternative is to have your wedding ceremony outdoors. Parks or sites near rivers and lakes can provide the perfect backdrop for exchanging your Irish wedding vows. A destination wedding in Ireland is tough to beat, but there are many other location options for your reception if you can't make it to The Emerald Isle. Country locations, like an old farm house or a bed and breakfast, can create the perfect setting for your wedding reception. Outside, tented receptions also work well in the warmer months. While any location can be turned into a Celtic affair, a unique alternative is a castle or other historic building that has an old European look and feel to it. Your Irish wedding invitations are one of your first opportunities to spread the word about your Celtic wedding theme. Look for invitations with Celtic or Irish designs, or perhaps something as simple as your favorite shade of green. Floral invitations can be another nice alternative. Like invitations, you will want your wedding programs to be green or include Celtic designs. If you have trouble finding them, consider creating them yourself with green stock paper and stampers with Celtic symbols. Traditional Celtic wedding dresses come in bright colors like green, red and blue in addition to white. You will need to decide how far you are going to take your Celtic wedding theme and if that means going with a wedding dress that is Celtic. Irish wedding dresses frequently have lace accents whether the gown is colorful or white. Of course you can always wear a modern white wedding dress and still use Celtic wedding themes throughout your day. If you do choose to go with a Celtic wedding dress, consider having it custom made. There are many great resources online that will ensure you will have a dress that fits you perfectly. For the groom and groomsmen, if you want to stick to tradition consider wearing kilts. If kilts aren’t your style, wear tuxedos or suits that match the bride and bridesmaid dresses. Colorful wildflowers are frequently seen at Irish weddings. Ivy, a sign of fidelity, can also be used in bouquets and other floral arrangements. Irish tradition states that you can plant the ivy after your wedding as a keepsake from your day. A traditional Irish wedding cake is a fruit cake which is definitely an option if you are sticking to tradition. However in today's modern times couples tend to opt for a more modern wedding cake. One option is to have a smaller fruit cake in addition to your main wedding cake, or it could also be used as a groom’s cake. This allows you to still stick to tradition while also having a more typical main wedding cake. Have your cake designer or baker decorate your cake with traditional Irish symbols like horseshoes and shamrocks. A more adventurous option is to have a cake designed in one of these shapes. Add a Celtic wedding cake topper to finish off your cake. Entertainment is an important part of any wedding. Having bagpipers lead you down the isle is a great way to kick off your wedding ceremony. The bagpipers can move from your ceremony to accompany you as you are announced at your reception. If you are having a DJ or traditional band, ask about options for including a few Irish songs for fun. Irish Dancers offer great entertainment for your guests. Hiring a local Irish dance group to perform at your wedding reception is a great idea, and keeping it a secret offers a nice surprise for your guests. If you want to remember your wedding reception long after it is over, consider having your guests sign a Celtic wedding guest book. Visit Irish wedding traditions to learn more about how you can use them in your wedding. An Irish wedding horseshoe is one of the most famous Celtic symbols because they are thought to bring good luck. Take a look at our top five Irish Wedding Toasts. The symbols above provide many options for wedding favors. Shamrocks, trinity knots and horseshoes are among the symbols that can be part of your irish wedding favors. Also mentioned above, bells make great favors. Guests will enjoy ringing them to get you to kiss instead of tapping their glasses. 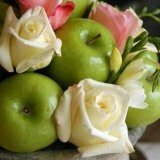 Your signature drink for celtic wedding themes can be something simple like green beer, Guinness or a more elaborate cocktail. Many people think of Baileys when they think of Irish drinks, and there are several fun drink options using Baileys, including a Baileys Martini. Another option is mead, a wine-like cocktail made with honey. You may, however, have to do a little research to find mead in your area.